The Kung Fu Mediation blog has three groups of readers: martial arts people, negotiation/dispute resolution people and those who do both. This post is aimed at martial arts readers. I’ve received e-mails from all over the world in response to a post from a few months ago on How to Make and Use Dit Da Jow, which in turn was a follow-up to a post on Kung Fu Negotiation: The Iron Palm. People have been asking for more information on how to make Dit Da Jow, an herbal compound that is supposed to toughen the skin and reduce injury from repeated strikes. My English handwriting is bad and Chinese handwriting is even worse. However, if you don’t mind squiggles, please click on the link for a PDF of a Dit Da Jow Recipe that you can print out and take to a Chinese herbalist. The herbs should cost less than $10. The prior post explains what to do once you’ve acquired the ingredients. It takes at least 6 months of infusing in alcohol to get really powerful, but you can start using it after 3-4 months. Dit Da Jow becomes a strong smelling potion. My wife complains when I use it. This recipe creates a powerful vasoconstrictor. In other words, it causes the small blood vessels to contract to help control bruising. However, it also makes your hands cold. It’s really important to run your hands under hot water before applying, both to improve absorption and to keep your hands warm. The masters say that the warmth is important for qi development. I say it makes the training less uncomfortable. Because of the smell, because the herbalists tell me some of the herbs are poisonous if ingested and because it feels better to limit the vasoconstriction, I always wash the stuff off in hot water after it sits for a few minutes. The shelf life should be at least several years. I have received mixed messages on whether to strain the herbs out after a period of time. The original source of this recipe was a commercial distributor that is now out of business. They told me that it is specifically designed for use on the hands, but I’ve used it on my arms and elbows too. Finally, please, please remember that while Dit Da Jow helps, it’s not magic. It is easy to break your hand or wrist when you are trying to break too many boards (at higher levels, coconuts are a traditional target, too – but not for old guys like me). Train safely! As often happens, I made a mistake during sparring practice. As my opponent’s speed increased, I became anxious, not so much that my reaction times slowed but enough that my vision started narrowing down – a normal response worsened by my the fact that my visual attention is subpar to start with. It meant that I was aware of a left punch coming in, but lost track of the right. I intercepted and redirected the left with my right arm, then thinking all was clear I fired off from my left. You can guess where this led. I had overcommitted to a high left punch and couldn’t get my arm down in time to stop my unprotected left ribs from getting slammed. It may be surprising for those of you who have never studied martial arts, but preparing to fight is not the main reason I train. Most of us are much more likely to do battle with the forces of age and time than to get in a bar fight (at least by my age!). There is also a Zenlike quality about losing yourself in the sensations of your body while detaching your ego from the process (not surprising, since Zen migrated to Japan from Shaolin, where it is called “Chan”). Still, it can be instructive for interacting in other contexts. “Overcommitment” isn’t just a dating mistake. The next level amplifies on the first. Don’t give up too much in discussion, if you are unsure whether you may need to hold some of it in reserve to trade for something else. That is like sticking your arm out too far and leaving your flank exposed. A third level is not to commit while you’re losing focus. If you are sparring, that may mean disengaging for a moment before you strike. If you are in negotiation, it may mean taking a moment for a bathroom break to clear your head with a cold splash of water on your face. If your team is with you, it may mean taking a break to talk amongst yourselves, so you can make sure your perspective is accurate. Otherwise, you run the risk of reaching out before you see that hidden punch coming in. The key to all this, the way to know if you are overcommitting, is to know where your counterparty is. Keep your vision broad. It may be helpful preparation to theorize about where you want to take a conversation, but ultimately your success in the negotiation depends on your ability to perceive as much as possible the full scope of what your counterparty is thinking. You have to focus on his tactic of the moment enough to respond – that would be the left hook in the story – but you should always keep everyone’s ultimate goals in mind, as much as you can figure them out, in order to see the big picture and not step too far into an untenable position. Keep your focus, and don’t overcommit. Negotiation has two goals: convincing the other party to accept your position and convincing them that you will follow through. Many pixels have been spilled over persuasive technique, interest-based negotiation and the like. In most business negotiation, though, trust is also an issue. How do you convey the sincerity and trustworthiness that is needed to make any kind of agreement stick? People generally will not enter into an agreement with someone they do not trust to live up to their end of the bargain, especially if the agreement is in settlement of an argument. The difficult part is finding a way that works for both parties. In martial arts terms, the negotiating technique is like the way you wave around your hands and feet. It is the outer form of persuasion, which is important but not sufficient. 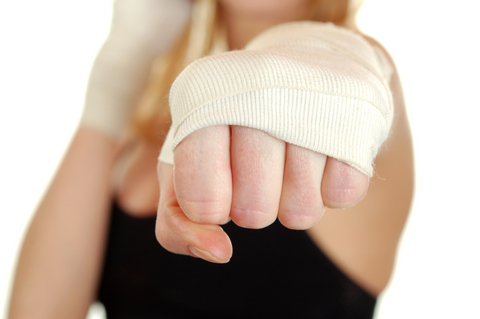 Knowing how to make the persuasion meaningful is the equivalent of packing power in your punch. You can do it through brute strength (the equivalent of, “You will agree to my terms or else”) or through internal power moves that vary with the technique being applied (“I know this point is important to you”). On the one hand, it means you have to listen to the other party to try to tell how to get the message through. That can be difficult enough, like looking for an opening to attack. Then you have to find a way to come across as sincere, and not just in the way of a con man that offers sincerity without substance. Some people are comfortable with overt emotional appeals. When other people try that, it seems phony and reduces credibility. Some people can express clear, logical, persuasive arguments. When other people try that, it sounds like a middle school debate team. Some people consciously modulate their facial expression, body language and even breathing. Others seem uncomfortable in their skin when they try that, especially if they try it in a cross-cultural setting in which each party uses different cues. Sometimes, conveying trust means setting up backstops, like escrows or penalties, so your counterparty believes you will follow through. In martial arts, the rubber meets the road at the point of physical contact between you and your counterpart. After contact, if there’s no power, there’s no effect. In negotiation, the force of the impact is in the tone as much as the message. Most of the time, you will do well if you can find a way to convey a cooperative, trustworthy tone that works for you and connects with your counterparty. The Chinese Dragon is not like the European fire-breather. Negotiating with a dragon, whose element is water, can be a rare and trying experience. The Chinese dragon is not the fire-breathing creature that St. George killed: it is the bringer of rain. 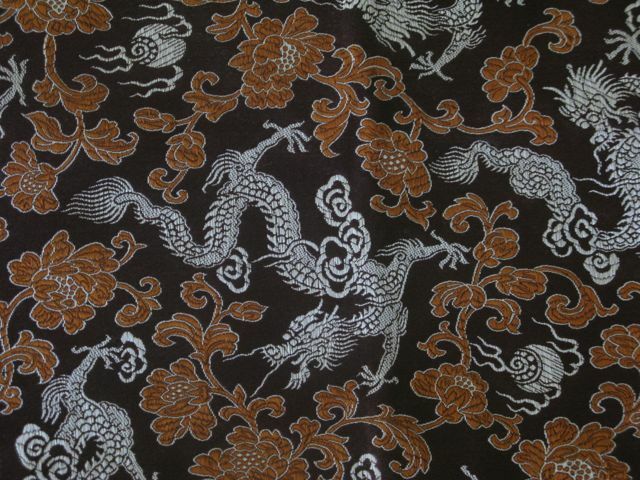 The mythical dragon has aspects of all the other animals, and is comfortable everywhere: beneath the seas, slithering like a snake, striking quickly like the leopard, leaping powerfully like a tiger, flying through the air like a crane. Its body moves like a wave, rolling in then falling back, appearing then moving quickly to disappear and reappear. The dragon’s kung fu power comes from everywhere the other animal forms get power, but especially from a twisting motion of the spine. Imagine how the dragon in the photo would move. The organ system associated with the dragon in traditional Chinese medicine is the kidneys. A major function of this system is energy storage. People who channel their inner dragon are rarely lethargic, unless they are ill. Once the energy is drained, it may take time to refill. While a discussion of energy is off point, keep the general idea in mind. How do we identify a dragon? A dragon can appear as a willful person who is hard to pin down (in negative aspect) or a sagacious trickster with a strong presence (mixed) or someone who seems powerful, understated and capable (all positive; think Bruce Lee’s screen image). The dragon, like water, is always moving, so if you see someone who moves flexibly and circularly in all directions, that person may have dragon aspects. One thing you should be careful of is that many people have learned some basic taiji, which is from a different Shaolin-derived system but still associated with water. I don’t know much aikido, but I have known practicioners who have airlike or waterlike movements. Once you’ve found your dragon, what do you do with him? As in movement, the dragon can do anything any of the other types can do, plus some. Take notes! The thing about water is that it always wants to flow downhill. Cut the roots, eliminate or redirect the flow, and you have defeated your dragon. That can be difficult, though, and you’re likely to get hit along the way. In order to keep yourself safe, consider how your own personal type interacts with the dragon. In one example from the five element theory, water extinguishes fire. Dragons are tough for tigers to deal with, because they’re evasive like the snake or crane but aggressive and relentless like the tiger herself. Tigery force with no place to land gets frustrated. If you think back to all the people you have known, personally and professionally, you can probably picture many of the major animal archetypes. It is said that true dragons are the rarest. However, most of us have “watery” aspects. Even if you see just a hint of dragon in someone with an otherwise wooden personality, flag the observation. It may help. 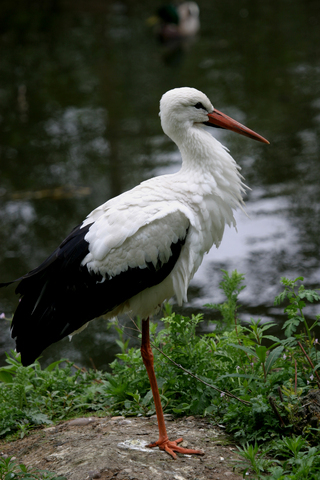 Negotiating with a crane, whose element is air, requires taking care not to fall into a trap. If you ever see cranes or herons fighting, they flap their wings a lot. They have thin, hollow bones, so much of the flapping is to deflect anything coming in from their opponent. They evade. So, too, with crane kung fu forms. In martial arts theory, there are two kinds of blocks, yin blocks and yang blocks. A yang block is force on force, using your strength to counter a blow. A yin block is not being there when the punch is ready to make contact. Crane forms certainly have yang elements, but do rely heavily on yin blocks. Evading and redirecting other people’s force is one of the things the crane is known for. A good crane’s effortless redirection makes one feel like one is punching at air. A crane’s evasiveness can come across as passive-aggressive or conflict avoidant. There are some people with whom it is hard to carry on a difficult conversation because they just won’t engage.That is a valid strategy. If you encounter it, the best thing to do is to decide whether the non-engagement is based on fear of conflict or on calculation. If it is the latter, the goal, conscious or unconscious, may be to draw you into a position in which you are subject to attack. You can respond in kind, but then the negotiation can consist of wing flapping without getting much done. Conversations between two crane types can be difficult even for the best mediators, since issues become hard to resolve if neither of the parties will pin themselves down to a concrete conversation about the issues. The aggressive tiger may find himself caught in a trap the crane set as she withdrew or become so frustrated that he makes mistakes. A better response might snakelike: be calculating back. Crane tendencies are hard to spot in the way that people carry themselves. Many people who do crane forms well have thin bodies and long limbs, although some bulked-up middle-aged men are excellent at it – it’s a question of body control. Look for people who hold their spines stiffly, like the leopard, but move fluidly. Still, gracefulness is a rare commodity. Sometimes the essence of redirection is to redirect our attention. The theorists among you may see shades of the Thomas-Kilmann conflict modes, but that’s for another discussion. Tiger kung fu forms can be fun to practice. They often have big, athletic movements with leaps and yells. The outer layer of applications is easy to see (although each form still has layer upon layer of hidden applications). Not every movement is a useful application for everyone, though. Many tiger movements work best for big, athletic people, but not so much for smaller folks. 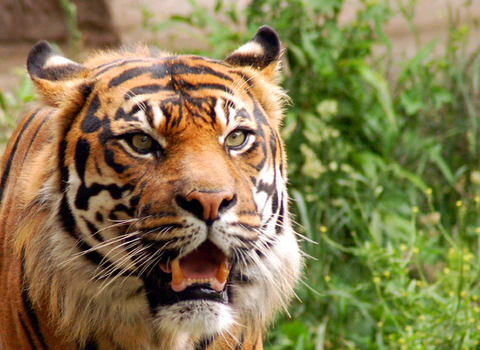 After all, in the wild, the tiger is a large and powerful predator. On the flip side, not every big, athletic person moves like a tiger. The physiology of the tiger has certain requirements, but a person must have the right neurology, too. Some people are more lumbering than aggressive, or don’t have the coordination to do well with some of the more circular movements. In a negotiation, some people use their positions within their organizations to let loose their aggressions. We see this often in lawyers: in their personal lives they may be meek, but when they are arguing on behalf of someone else they can be aggressive to the point of being offensive. Like people who just go through the motions of being a tiger, it is not what they really are, and to many of their counterparties the inauthenticity is more annoying than effective. One tactic you can take with the fake tiger is to follow the classic Art of War: “If you know your enemy has a bad temper, seek to irritate him!” Then he will make mistakes. Alternatively, you can also appeal to his vanity or insecurity. Next post, we will go back to the big-picture discussion with the Shaolin Crane, but first I wanted to give you a sense of how these academic-sounding themes can play out in the real world. Negotiating with a tiger, whose element is fire, requires the fortitude to be on the receiving end of aggression. Or Teflon-coated skin. In the wild, a tiger on the attack uses big swipes of its paws to bash its prey as it leaps, ripping chunks of flesh as it knocks down its dinner. Its teeth are not the only danger. Shaolin tiger forms are often leaping, crushing, ripping, screaming, multi-level displays of naked aggression. The famous kung fu tiger claw starts with a bone-crunching strike with the heel of the palm, followed by the claws digging into an opponent’s flesh. People who interact like the Shaolin tiger can be aggressive and energetic, using expansive gestures or language and having the potential to become remarkably vicious when aroused. Tiger people can be blustery and need to throw their weight around. Sometimes, they are large people who grew up that way. Sometimes, they are angry to the core, for reasons that we can’t even guess. If they are able to channel and control these tendencies, they can be effective. It can be difficult to avoid being engulfed by their passion for the subject matter of the negotiation or their apparent fury at the dispute. However, they may have a hard time seeing how aggression is not always the best first-line approach to interpersonal relations. 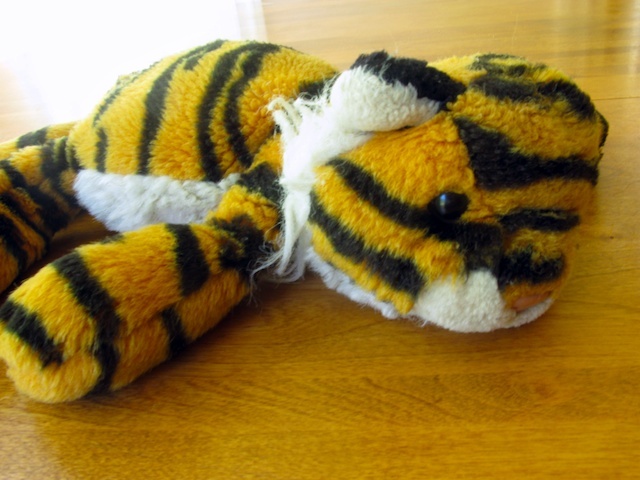 Some used car salesmen are tigers. The negotiator has to be careful to distinguish between tigers and leopards. Both come out swinging, but actual tigers are bigger animals. In the Hung Gar Tiger-Crane form, many tiger movements are larger and more circular, with heavy involvement of the pectorals, while leopard movements tend to be shorter, straighter and choppier. Sometimes one can pick up subtleties in the way agitated counterparties gesticulate, but more often one has to gather clues from the subtle energy each brings to the room. Tigers give a sense of a larger, fiery presence filling the room. When they get going, they may burn out, like the leopard, but more likely they will appreciate an appeal to the emotions to calm them down (water extinguishes fire, in the elemental system). Techniques used by mediators to validate and normalize emotions are often particularly effective. Be aware that tiger types, consistent with the elemental theme, may engage in scorched earth tactics. In my experience, they do have a tendency to see the world as a zero sum game if they feel cornered. Try to make use of their passions to turn the discussion positive. I have much more to say about tigers. Check back again soon. Negotiating with the snake, whose element is earth, takes careful concentration. The snake has no hands. It slithers on its stomach. The snake rears up, then waits patiently to strike and quickly coils back. In some kung fu systems, it may even squeeze its prey. The organ systems associated with the earth element are the stomach and spleen, and practitioners of snake forms must have strong and strangely flexible abdomens. They withdraw from a punch by coiling in their stomachs and explode outward in a precise attack driven by those coiled muscles. As the abdomen is where their power lies, so it is where tension is stored. Snakes in the wild elicit primal fear. In Western society, the snake has negative connotations associated with the eviction from the Garden of Eden. In the Bible, Jacob develops sciatica after a victorious wrestling match with archetypal overtones, and to this day kosher-keepers don’t eat cuts of meat containing the gid nahash, or snake nerve. 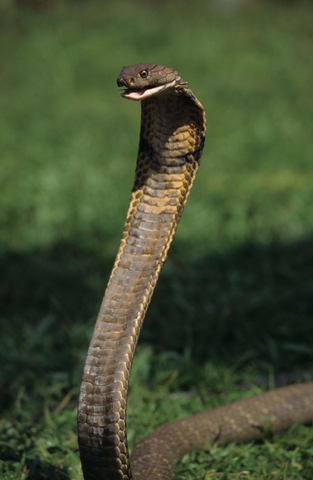 In India, the kundalini energy climbing the spine is pictured as a snake. In China, the snake is treated with such respect that its archetype gets used not only in martial arts but also in astrology. Snake people are grounded and patient. Patience can come across as sneakiness or, if they let you into their game, quiet planning. In the real world, these skills can pay off, so one should not be surprised to find ambitious snake people in leadership positions. In the negative aspect of the archetype, you may not know quite where you stand with them. How can you identify them walking into your office? They often seem impassive, like a Japanese sarariman standing behind his boss. They may have economy of movement, but since most people tense up under stress that’s hard to pick out. The hand on the knotted stomach may be a sign, but it’s common enough not to be dispositive. Rarely, I have seen people move unconsciously with subtle juts and retreats of the stomach, but that’s really hard to pick out since people in negotiations are generally clothed! My kung fu teachers have told me that it’s even hard for them as practiced observers to see if students are moving properly, since “the snake is the most internal of the animal forms.” Usually we have to rely on other clues. One deals with a snake by recognizing that, as someone who prefers being grounded, details matter. He will happily lose himself in them and avoid abstracting to the larger situation. He may even get so distracted by them he cannot reach a conclusion without help. You must start with details but work on getting him to see the big picture. Opening with talk of big principles will bore him; he will not hear them, like a colorblind person being asked to pick out the big red block. There comes a moment in many negotiations and mediations where one side suddenly sees the other’s perspective. There may not be agreement on whether it’s valid, but that transformation brings down a certain barrier of “otherness” and lets the disputants either begin to build a common story or let go of their own story and the need to prove it so they can focus on the bottom line. It’s tough to get there with a true snake, but it can be done if you chip away slowly. Conflict is a part of life. There are techniques we use, more or less effectively, to deal with conflict. Some are instinctive, and some are learned. I’m calling this blog Kung Fu Mediation for two reasons. One is that in Chinese, the term gongfu can refer to any skill gained over long effort. If you chi ku – “eat bitter” – by really working at something, you can develop a gongfu of that activity. A 30-hour mediation training is a good start, but it takes many more hours of study and reflective practice to become good at it. You have to keep working at it too. There is always more to learn about negotiation and dispute resolution. The other reason for the Kung Fu Mediation blog is to explore what the world of martial arts has to teach us about everyday conflict. 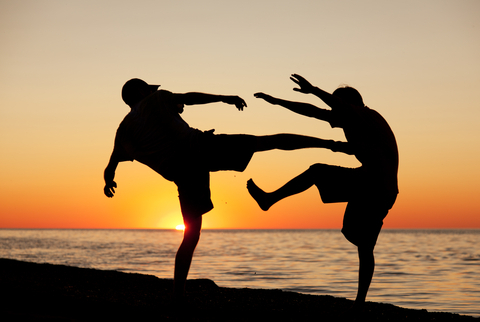 After all, both kung fu and mediation are effective means of conflict resolution! Remember that our bodies are wired for physical conflict. We respond in similar ways regardless of whether the conflict is physical or verbal. If we are under stress, our heart rate goes up and our muscles tense. If we are afraid, our eyes lose focus and cast about for an escape route, and if we are angry our awareness focuses in on the person causing us agita. Our hands may ball into fists or grasp our pencils more tightly than usual. It doesn’t matter whether we will be using those fists to resolve the conflict or whether we will be using tools more appropriate to abstract battles over resources or respect. No matter how rational our strategies and tactics seem, they interact with some of the same cognitive and hormonal systems as if someone is swinging a punch at us. That incoming punch is a great example. If you see someone’s fist flying at your face, what is your first reaction? Is it to duck, or to hold your hands up to protect yourself, or to stand there and see what happens when it makes contact? In martial arts, the first two are considered to be ways of blocking the punch, one a yin block and one a yang block. They are instinctive. They are good things. The third is considered to be getting hit. That’s a bad thing. And that’s the second piece, striking back. Every beginning martial arts student learns that a block alone is not enough, most of the time, since your attacker has more limbs to hit you with. You learn to block, then strike, and as you get more experience to do both at the same time. The hard part is figuring out which block and which strike to use when, because our instinct is to lash out. It gets complicated. Baguazhang, a martial art based on a mashup of the Yi Jing and Zen circle walking, divides the defense and counterattack world into 8 types of redirection (a block that, like the Dao, circles and goes with the flow of the opponent’s energy) and 8 types of strikes for a total of 64 basic combinations, matching up with the number of hexagrams. Just as it takes a ridiculous amount of effort hold that level of complexity in your head for any length of time even in a non-pressured situation, the complexities of interpersonal conflict can also be hard to keep straight. Some people’s default mode is to lash out at the first provocation and some people’s is to put up with the punches for a long time before exploding, in each case without regard to subtlety. In mediation or as anyone trying to bargain for anything, we have to recognize that some very successful people never got far past that instinctual explosive defense-attack. Not only do we have to find a way to redirect the punch, we have to get the other party to learn how to do the same. Otherwise, it is very difficult to reach agreement with someone who only responds defensively. Sometimes, the mediator’s job is to stand in the middle and redirect both parties’ punches so they can learn to speak with each other. In a divorce I once mediated, the parties were so entrenched in defensive anger that even by the third session they could only talk to me, not to each other, without screaming. It was the verbal equivalent of wild, swinging punches. Before they could move on and resolve what were essentially economic issues, each had to figure out what they were defending – what their real interests were. They had to realize that the confrontational interpersonal style that had failed them during their marriage was a roadblock to their divorce and to the cooperation that they would need going forward with their children. We had to work on redirecting their anger to create a space within which they could focus. Later, when I started applying some of the lessons from that mediation in commercial contexts, they transferred over pretty readily (I’m really slow sometimes). Every interaction contains the potential for conflict. The better we can deal with it, the better it is for both our personal and professional lives. There are lessons for us in the martial arts.